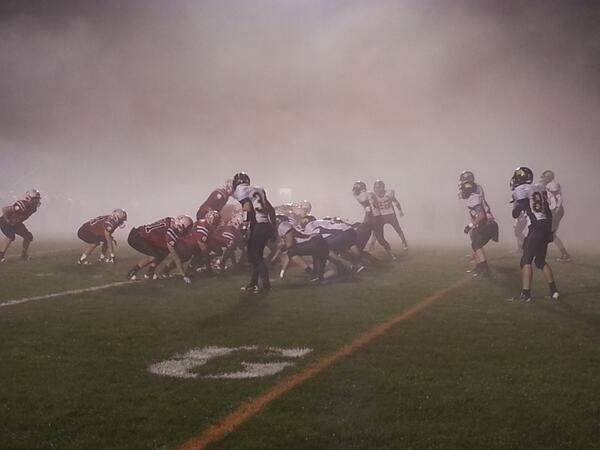 Crazy picture "@tsrushing : fog takes over the field at the Cascade/New Hampton game #iaHSFB http://pbs.twimg.com/media/BYRWG_6CEAAbxAA.jpg"
Bishop Garrigan just about to wrap this up.
" Ogden holds on to win 12-10 at St. Albert. #iahsfb " Ogden has now reached my top three favorite schools in Iowa.